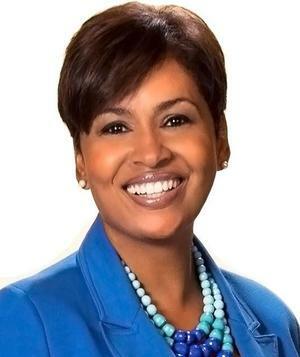 Hampton University and Mass Media Arts alumna Allison Seymour will be a guest speaker at Sunday's Founder's Day. The Hampton History Museum is to honor three of the many women behind NASA's space expeditions in an exhibit called, "When the Computer Wore a Skirt: NASA's Human Computers," opening Saturday. The exhibit will feature articles and pictures which document women's contribution to American history. Starting in the 1930s, the Langley Research Center hired five women to resolve engineers' formulas calculated in flight and wind tunnel tests. By 1942, these women became vital to the success of NASA through their scientific results. In the following decade, NASA integrated its computing coalition and included African-American women. "These women were absolutely integral to the process, working as specialized mathematicians on complex orbital mechanics with their brains," said museum curator Allen Hoilman. Hoilman decided to create the exhibit after previously meeting Katherine Johnson, an African-American woman whose calculations helped successfully launch John Glenn into space in 1962. He cited Johnson's math manual development, which today's engineers use. Hoilman began gathering memorabilia in May for the exhibit, in an effort to capture an ignored yet pertinent part of history. The exhibit has three components: a section about computer systems at NASA during the 1950s, a video biography about Johnson called "Katherine Johnson: The Girl Who Loves to Count," and artifacts such as a mechanic calculating machine. The exhibit also highlights African-American mathematicians Dorothy Vaughn and Hampton native Mary Jackson. While some Hampton University students saw "Hidden Figures," a film released in December that detailed the stories of these women, others who did not found the museum's new exhibit relevant to their own history as African-American college students. "I think this story is extremely important because black women aren't taught that we are future scientists, or at least I wasn't in high school," said Alexis Weston (pictured right), a sophomore English major from Temecula, California. Weston also said that as a Hampton student, she feels directly related to history thanks to Jackson's work. 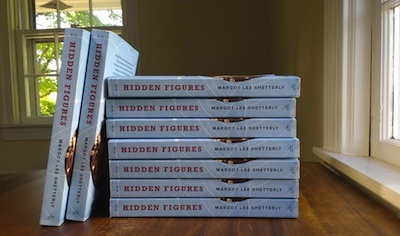 Other female students interviewed resonated with the stories of Jackson, Johnson and Vaughn on a deeper level, as many felt that the female engineers empowered black women to achieve their goals. Njeri Fullwood, a sophomore psychology major from Largo, Maryland, said that she wanted to especially see the film and learn about their story with her younger sister: "My mom took both of us and we all cried. These women were going through so much while still doing what they loved. My sister really wants to be a nurse later in life, and I want her to understand that the possibilities are endless for black women." The celebration of Martin Luther King, Jr. Day is a celebration of black excellence at its finest, and as a result most HBCUs [historically black colleges and universities] have some sort of program honoring his life and legacy. Hampton University will commence its annual MLK Day March on Monday, Jan. 16, at 10:30 a.m. Students are encouraged to attend as it not mandatory. 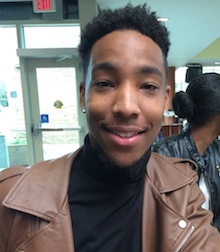 Jaelin McGull, a senior marketing major from St. Louis, plans to attend. He believes that King was an influential figure in his life and had a huge part in placing us in the state that black America is in now. "Obviously, we still have a lot to do, but progress is one step at a time," he said. As for a handful of other students interviewed, some said yes, they will attend, some said no, some were still undecided. Britney Bailey, a senior strategic communication major from McDonough, Georgia, said she will not be attending because she has been there before and the event gets repetitive. She believes there is more that could be done to make the event more enjoyable. "His life and legacy could be celebrated differently than marching from Point A to Point B," she said. Allie-Ryan Butler, an assistant dean in the Scripps Howard School, said that event could use something different to attract more students, but encourages students to still attend the event as it is important to remember King during this peaceful transition of power as the first black president leaves office. "It is imperative that students attend this event, considering the state of Black America," said. Butler, adding he would like to see a panel discussion led by the new generation of activists on the current state of Black America as he thinks this would be a nice addition to the march. Several students interviewed have much anticipation for the annual MLK Day march and program on Monday. The march will start at the Emancipation Oak national landmark, where the slaves were read the Emancipation Proclamation in 1863. The program will be held in Ogden Hall, where Michael Anthony Battle, the former U.S. Ambassador to the African Union, will speak. Battle once served as the dean of the University Chapel at Hampton University and pastor of the University's Memorial Church. "I'm sure former Ambassador Battle will deliver a stellar speech while commemorating Dr. King's legacy," said Jolie Jemmott, a sophomore student leader and nursing major from Philadelphia. "It's great to know that he was once a part of Hampton's staff and I'm glad he is returning to deliver this speech,"
Others students believe MLK Day is a day to honor and serve Dr. King's legacy. Dr. King's frequently appeared in the media for speaking out against racial injustices and leading peaceful protests. "Dr. King was a great community leader and made it OK to speak for what he believed in," said Brittany Bailey, a senior strategic communications major from McDonough, Georgia. "We can relive his work and honor him by doing community service." Photo and additional reporting by Leondra Head. Both students are in the Scripps Howard School of Journalism and Communications. Students and faculty plan to participate in a campus-wide march beginning at 10 a.m. at the Emancipation Oak and end it at Ogden Hall. Following the march, there will be a program to honor King's legacy at 11 a.m. The student attendance rate is predicted to reach a high this year due to the largest freshman class -- 1,400 students -- in Hampton's history, as well as participation by the many organizations on campus. "I expect a good turnout from the student body. I hope they receive knowledge about what Dr. Martin Luther King Jr. truly stood for," said Anzell Harrell, director of Student Activities. "MLK Day allows us to give back to the community and honor a man who paved the way for myself and future generations" said Joshua Thompson, a sophomore political science major from Salisbury, Maryland, pictured above right. For some, this day symbolizes the similarities between the current and previous generations' social struggles. It reminds the youth that they have the ability to, therefore they must positively impact society just as King and other civil rights figures accomplished. "MLK Day is emotional for me because I always think of how my grandparents were treated for the color of their skin rather than the great people they are" said Chardae Reeves, a sophomore psychology major from Columbus, Ohio. "Unfortunately, we still deal with that hatred today, so we have to pick up where Dr. King left off and continue demanding the equality we deserve." "At my predominantly white school, MLK Day wasn't a big deal," said Raquel Lewis, a second- year, five-year MBA major from Scotch Plains, New Jersey. "Coming to Hampton and seeing African-Americans unite for such a special day is a breathtaking experience"
With the help of former Hampton University Assistant Pastor Rev. Dr. Jerome A. Barber from Sixth Mount Zion Baptist Temple, the campus Office of Student Activities was able to secure a speaker for the program: Ambassador to the African Union, Michael Anthony Battle Sr., who served as Hampton University chaplain from 1976 to 1996. Hampton University welcomes the public to attend Monday's event. For additional details, contact the Office of Student Activities at 757-727-5691.